UENI is on a mission to help local business owners look professional, be discovered, and get hired online. 4 out of 5 customers today research purchases online. This means that local businesses without a website (most in Europe) are essentially out of the market. Their owners most often are not online because the view the process of digitising their company as too complex, time-consuming, and costly. 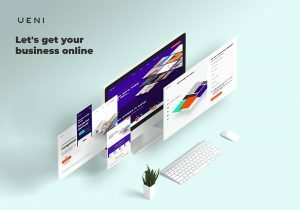 Based in Hammersmith, a disruptive technology company called UENI now offers these businesses a new and affordable way to achieve a comprehensive online presence. This includes not only a website, but a dynamic suite of digital assets — including verification on search engines such as Google, professional social media profiles, listings on expertly selected directories, and a great deal more. So far, UENI has made it easy for more than 3 million businesses to go online; they operate in 9 countries across Europe. But, by all appearances, they’re only getting started in their quest to ensure local businesses are always equipped with the right technology, so they can compete for the 21st century customer.